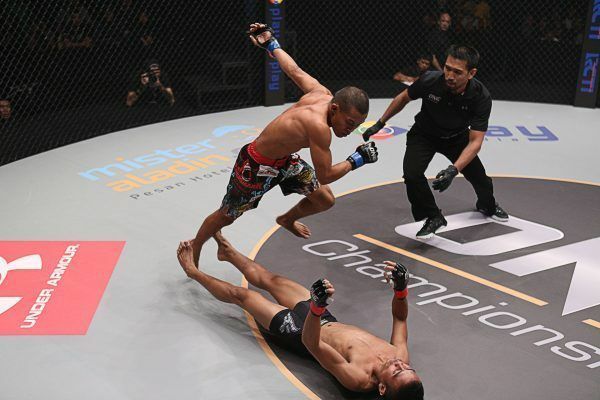 The full card for ONE Championship’s return to Jakarta, Indonesia on Friday, 3 May is set. In addition to the previously announced main event for the ONE Flyweight Muay Thai World Title, the show will feature the debut of a legend. At ONE: FOR HONOR, Japanese mixed martial arts icon Yushin “Thunder” Okami will make his first appearance in The Home Of Martial Arts. He will face Kiamrian Abbasov in a welterweight match-up. Okami will star in the night’s co-main event as he begins the next chapter in a legendary career that has taken him all over the world. Kiamrian Abbasov locks in a tight rear-naked choke to seal the deal against Agilan Thani at 2:35 of Round 1! The veteran of 47 mixed martial arts contests will aim to take a step toward the ONE Welterweight World Championship with a win against a man who made a big impression in his last bout. Kyrgyzstan’s Abbasov scored a stunning first-round submission of Agilan “Alligator” Thani in December, which established him as one of the division’s top contenders. Another win against a superstar of the sport should see him enter World Title contention. ONE: FOR HONOR will also boast a stacked undercard of action, featuring some of the most talented Indonesian heroes competing in front of their countrymen at the Istora Senayan. One of Japan’s finest talents has signed with the world’s largest martial arts organization.